Open the app Menu by clicking on the 'Menu' icon on the left uppermost side of the screen. Choose 'Staff' to land on the Staff list. On the bottom right corner of the screen, hit the '+' icon. This shows the mandatory fields to be filled out. 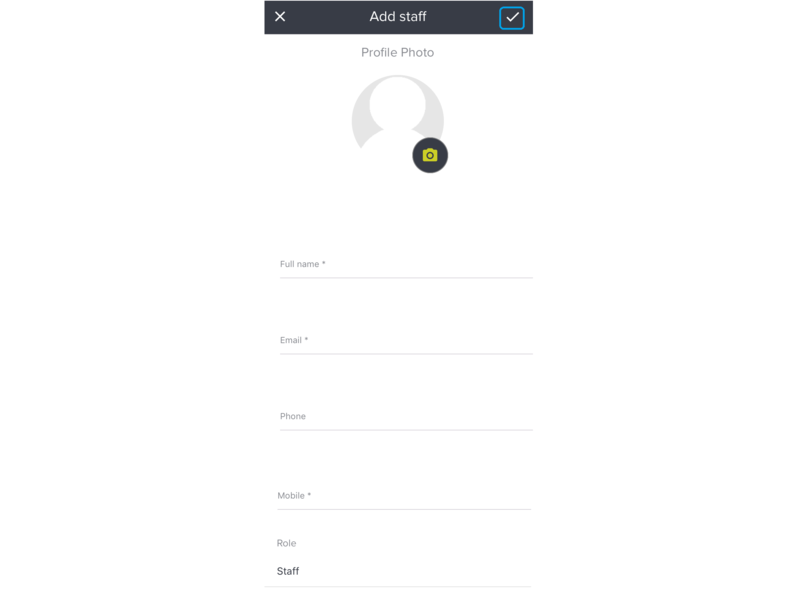 To save the staff details, hit on '✓' on the uppermost right corner of the screen. 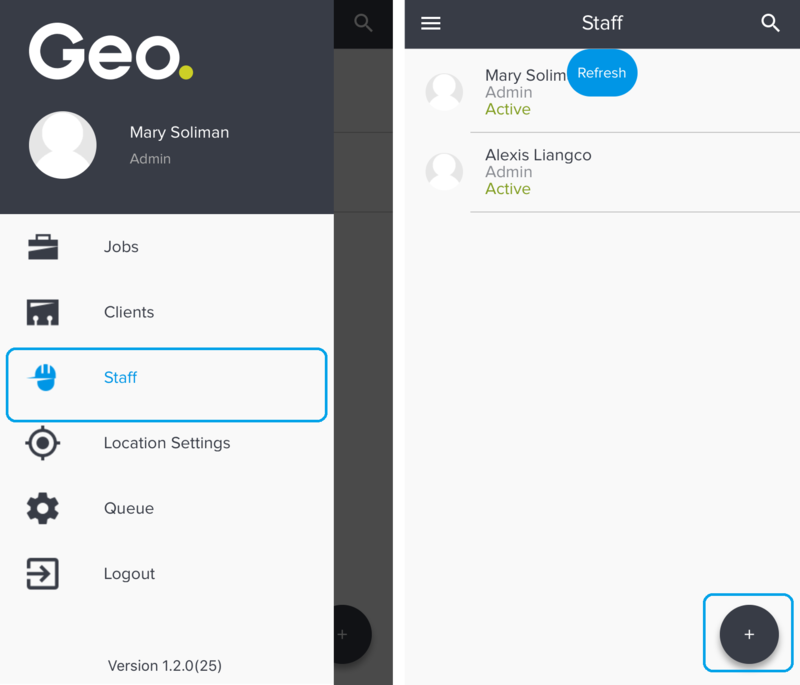 The staff then receives an invite on their email address where they can accept an invitation to join the Geo workforce to log-in to Geo Console and iOS/Android App. Related Articles: Email Invite for a New Staff Member; How to Add Staff - Console; How do Staff Roles work?